Whether you're into walking the dog, festivals, gardening, country sports or any other outdoor activities, our range of traditional men's wellington boots will keep your feet warm and dry whatever the weather. 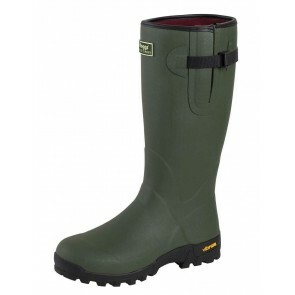 With all the classic colours to choose from including green, navy and black, and famous wellington boot brands such as Hunter, Le Chameau and Aigle, here you'll find the widest choice of men's wellies on the market. If you suffer from cold feet why not take a look at our range of warm wellies for men, lined with neoprene for extra insulation and warmth.